Welcome back - It's going to be a year of us going to infinity and beyond! We hope that you have all had a relaxing summer holiday and are now for all of the wonderful learning experiences that await you as you commence life in Year 5. 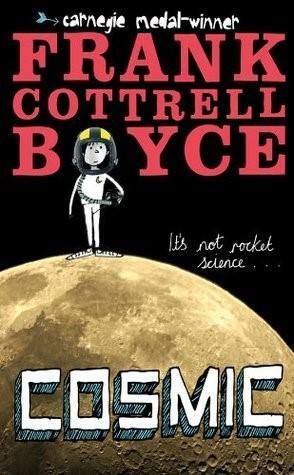 This term, in our main topic, we will be learning all about the Earth and beyond. We will be developing our knowledge of spherical bodies in our solar system and beyond. We will also use our new found knowledge of space to help us with our writing. The children will even get the opportunity to make their own rockets and observe them ascending into the air of St Judes. Look out for your invite to this very special launch. This term we will be developing our writing skills through recount writing, using scientific facts to describe an amazing journey into space. Furthermore, in the second part of the term, we will be creating our own sci-fi stories linked to space, Star Wars and Dr Who. May the force be with you! We will also consolidate our grammar, spelling and punctuation techniques, building upon these throughout the year. In addition to this, we will focus upon improving the children’s presentation and handwriting with the aim of the majority of the children receiving a pen license by the end of the academic year. We will focus this term on Place Value and written methods for addition, subtraction, multiplication and division, mastering and applying our knowledge to deepen our understanding in a range of contexts. Upon entering Year 5 all children are expected to know their times tables up to 12 x 12 because they are vital to access the Year 5 maths curriculum. If your child is still not confident, please keep working on their skills at home using Times Table Rockstars. We will continue to celebrate the children’s achievements in school. Our two main topics this term are: Earth and Beyond and Forces. We will investigate what makes a solar system, what makes a star and the children will also carry out other investigations linked to these topics. Homework will be set each week on a Tuesday and will be due in the following Monday. It will mostly consist of an English or Maths activity lasting no longer than about 30 minutes. This will be in addition to reading, spelling practice and times table practise which children should partake in at home most days. Once or twice a term, we will also embrace opportunities to set more creative homework tasks. Please try to read every day! While we would love all children to read daily, what is most important is that children develop a love of reading and choose to read for pleasure. As a school, we encourage children to read for approximately 20 minutes on most days. We continue to use AR and we would like pupils to aim to take at least one quiz per week. Please come and have a chat if you have any questions linked to the AR scheme or of ways to engage your child with reading at home. Currently, we are reading Cosmic as a class book. Feel free to ask them questions about it. We will be learning spelling daily in school, with a test once a week on a Friday. These words will be linked to the Year 5 spelling patterns from Read Write Inc. as well as the year 5/6 NC required word lists. Please help your children to practise their spellings at home everyday, it really does help! See link below for the year 5/6 spelling list. We will have PE twice a week on a Tuesday and Thursday. Please ensure that PE kit is in school every day! The Year 5 team is looking forward to getting to know your child and supporting them with their learning, as they progress throughout the year. Please be assured that if you have any questions or concerns we will always be willing to listen and will do our best to ensure that your child is happy in school.